Once Upon a Time Season 5 Episode 19 Sneak Peeks: "Sisters"
On Sunday's all-new Once Upon a Time season 5, episode 19, "Sisters," Hades (Greg Germann) tells Zelena (Rebecca Mader) that he wants a future with her outside of the Underworld. All she needs to do is heal his heart with True Love’s Kiss so they can leave the Underworld and trap the heroes there for eternity. When Regina (Lana Parrilla) overhears of this plan, she enlists Cora’s (Barbara Hershey) help to find a way to separate Zelena from Hades. 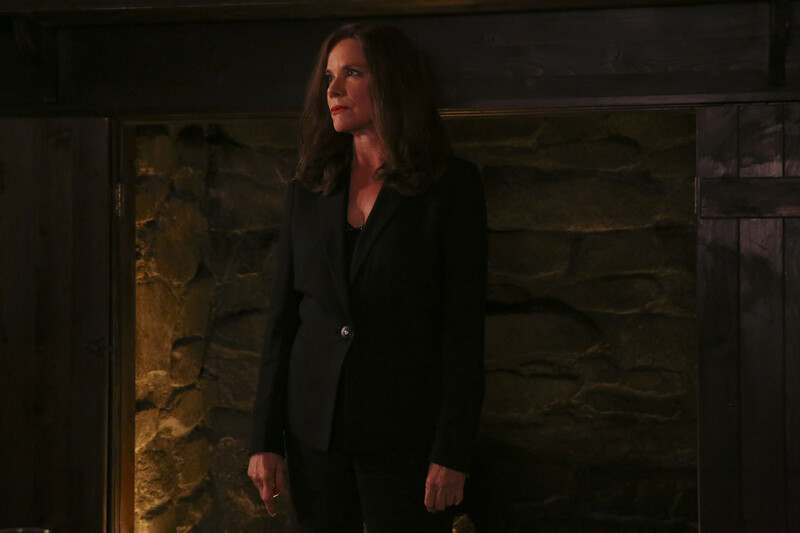 However, Cora reveals a family secret that could change Regina and Zelena’s lives forever. Meanwhile, David (Josh Dallas) finally meets James, only to realize that his twin is determined to seek revenge on him for stealing the life he could have had. In the sneak peeks below, Hades reveals that he wants to go back to Storybrooke with Zelena. He has a proposal for her: will she make chaos with him? Also in the Underworld, David unexpectedly faces off with his twin brother, James. Watch these sneak peek spoilers and tune in SUNDAY APRIL 24 8|7c! Sneak Peek: Will Zelena Accept Hades' Proposal? Missed this week's episode? Catch up with the recap for episode 18 "Ruby Slippers" here!